Click here to download doc for design. These changes will impact our food supply, water resources, infrastructure, ecosystems, and even our own health . What is energy flow diagram? 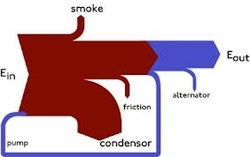 Energy flow diagram also known as Sankey diagram is a specific type of flow diagram in which the width of the arrows is proportional to the quantity of energy. Length of arrows has no bearings with the quantity of energy. These diagrams indicate the flow of energy in a process and help identifying the quality and quantity of energy. Quality of energy is indicated by the temperatures of inputs and outputs of energy. The input of energy begins from the left of the diagram. 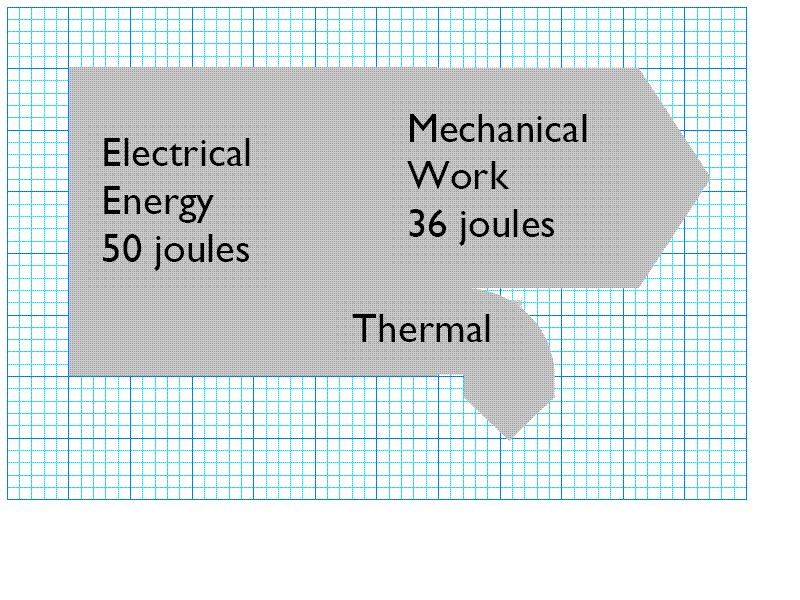 The outputs of energy are shown on the right side of the diagram as illustrated in the above figure. 1. Paula transfers 40 000J of chemical energy during a race. She transfers 32 000J of heat energy to the surroundings during the race. Calculate her efficiency and draw a Sankey diagram to scale. 2. Jeremy dreams of a Ferrari Enzo which can develop a maximum of 700 bhp. (1 bhp = 750 Watts). Sadly for Jeremy petrol cars are not very efficient. Typically, only about 30% of the energy that is available from the combustion of the petrol actually ends up overcoming friction to move the car forwards. Of the 70% of energy is that is not usefully converted, 55% may heat the cooling water that surrounds the engine block whilst 15% may be in the hot exhaust gases. To make car engines more efficient the fuel has to burn at a higher temperature and the exhaust must be kept cooler. Draw a Sankey diagram of Jeremy’s dinosaur. 3. What is the thermal output for the engine below and what is the efficiency e? Information on how to conduct the Radioactivity Absorbtion Experiment for Radium - 226. Radium was first discovered in 1898 by Marie and Pierre Curie, and it served as the basis for identifying the activity of various radionuclides. One curie of activity equals the rate of radioactive decay of one gram (g) of radium-226. that of lead and exists in nature mainly as radium-226, although several additional isotopes are present. Click Here to Read the Instructions for the Experiment on Monday 26/11. Christmas is coming and Dr. J has applied for a seasonal job as Santa's helper. One Santa just can't handle all the requests for electronic toys and gadgets this year. As a result, he has advertised for an assistant to help make and deliver the beeping little goodies. (The elves are mad at Santa for bringing in an outsider. To show Dr. J that they know a little something about computerized games, and as a form of protest as well, they all vow to carry chips on their shoulders.) Time is running out as Santa anxiously awaits Dr. J's arrival. Finally, at the last minute, he sees Dr. J's sleigh on the horizon. (Dare we say, "in the nick of time"?) At first, Santa pictures Dr. J to be some valiant warrior out of medieval times, because instead of reindeer, he uses two sleigh dragons. However, upon closer inspection, Santa finds Dr. J's sleigh to be equipped with a futuristic guidance and lighting system. For example, he uses a 6328 A He-Ne laser with a 2600 line/cm diffraction grating to help him spot the right house. Theoretically, what is the maximum number of houses that Dr. J could spot at once? Flu season has hit, and the bug was sure to not miss Dr. J. In fact, it is a special strain that is very appropriate for a physics teacher-the nuclear flu. Once contracted, it spreads like a chain reaction all over the body, causing its victim to become delirious. Dr. J is now in the critical state-that of mass confusion. J. Jr. and Timex try to tie him to a chair until he settles down, but he keeps breaking loose. (The binding energy is just too great.) Finally, in desperation, they send Tripod to the drug-store to get some medicine. As luck would have it, Tripod encounters a wisecracking druggist. A steady stream of one-liners (including, "we have the curie for nuclear flu") all seem to bomb in Tripod's view. "It's a shame that this over-the-counter humor isn't a controlled substance," counters Tripod. After finally telling the druggist to dispense with the humor, he gets the remedy-heavy water. The water he gets has 10-20 atoms of Tritium for every atom of ordinary hydrogen. If the half-life of Tritium is 12.5 years, what will be the ratio of Tritium to ordinary hydrogen 50 years from now? Chernobyl effect of radiation on leaf mutation. Recognize any? At the photo below burns from radiation of a fireman at Chernobyl. Is any amount of radiation safe?There is no firm basis for setting a "safe" level of exposure above background for stochastic effects. Many sources emit radiation that is well below natural background levels. This makes it extremely difficult to isolate its stochastic effects. In setting limits, EPA makes the conservative (cautious) assumption that any increase in radiation exposure is accompanied by an increased risk of stochastic effects. A rad is defined as a dose of 100 ergs of energy per gram of the given material. The SI unit for absorbed dose is the gray (Gy), which is defined as a dose of one joule per kilogram. Since one joule equals 107ergs, and since one kilogram equals 1000 grams, 1 Gray equals 100 rads. You might have heard the term 'radioactive isotopes' mentioned on the news or by people worried about the environment. Sometimes we use radioactive isotopes to help treat cancer. But what is an isotope? In this unit you will find out what an isotope is. We will also see how to calculate the relative atomic mass of atoms, which measures how heavy atoms are relative to one another. Have some fun and take the Interactive Quiz on Isotopes and then on Mass & Atomic numbers. Download from here the presentation for Atomic and Nuclear. You can use it as a basis to write on it your notes in the class. 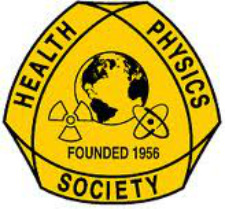 You may wish to learn more about Radioactivity and Health, how much radioactivity can be withstained or not from our body; click here for further reading ...!! link 4 -> do not forget the pipes-with-water-and-tuning forks!!! ---> Link to a folder that contains the above documents but in .pdf format!!! Have a serious look at their problems as well as under which circumstances the 1st and higher harmonics are formed, the relation of their wavelength to the height of the air column which depends on ... the height of the water column!